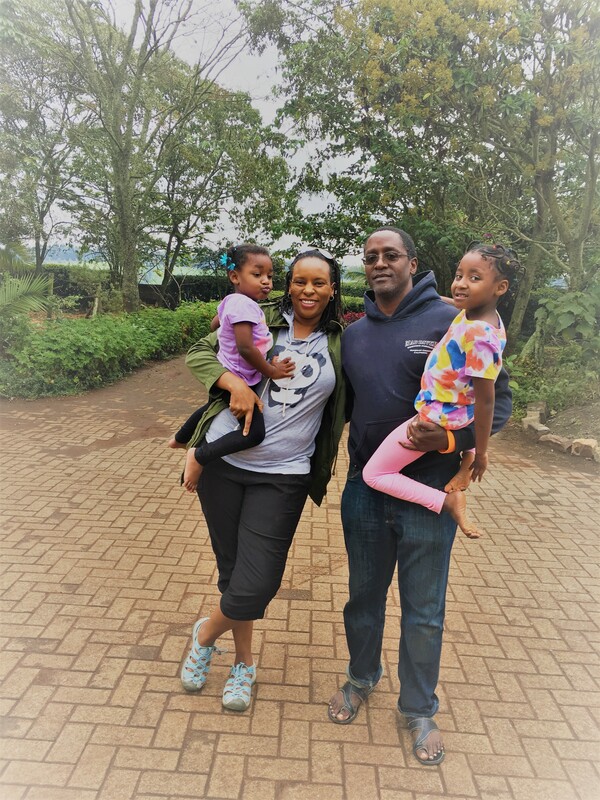 We are Sharon and Steve, parents of two sweet and energetic girls, Makeba and Miki. After many years in the United States, we finally returned to this beautiful country and are more than thrilled to have joined Woodland Star School’s community this year. We learned about Woodland Star School from the internet and couldn’t believe our luck given that we’d be moving to a farm just 10 minutes away. After meeting and getting to know the wonderful faculty, staff and parents, it became clear that this would be a wonderful place for us. Coming home has been bittersweet. Just as we were introducing our girls to our wonderful extended family, we lost Sharon’s Dad early this year. There’s no adequate guidebook on resettling back in Kenya and the re-adjustment process has brought many new challenges we never imagined we’d face. Right now, we’re learning to take each day as it comes and stay focused on our goals and dreams. One of those dreams is to build a small farm based cottage industry, crafting specialty teas and beers right here in Tigoni. Pretty lofty, right? Well, just getting together with people working on similar projects to share knowledge and grow would be a great accomplishment for us. Another big goal of ours is to help create awareness about Kenya’s amazing aquatic ecosystems and wildlife. Just about everyone in Kenya knows about the “Big Five”, but how about our diverse (and often vilified) amphibians, reptiles and water bugs? Part of Sharon’s work as an aquatic ecologist will be to bring local and international students and faculty here to conduct research on our wetlands, lakes and rivers. We’ve come to learn that it takes the whole community to sustainably protect our natural resources, not just scientists. So we will figure out ways to get as many Tigoni and Limuru residents on a team that will preserve our resources for generations to come. One of the fun things about our family is that we also imagine ourselves to be aspiring artists. Makeba and Miki love to sing and dance and sometimes perform “concerts” for us with their own original lyrics! Steve and Sharon have entire boxes of art supplies just waiting to be cracked open. So, how about you dust off your old guitar or watercolor set and come join us making art sometime!